This is the BuyCraft webstore for Journey Gaming. All items purchased from this store are virtual recieved items and will be recieved in game. Please be sure to enter correct Minecraft name (Case Sensitive), as well as making sure to have enough space in your in game inventory. Items should be obtained upon login instantaneously but can take up to 24 hours during rare occurances. If items are not recieved 24 hours after purchase, please contact an administrator or higher to situate your purchase or email us at journeygamingnetwork@gmail.com with purchase information available. 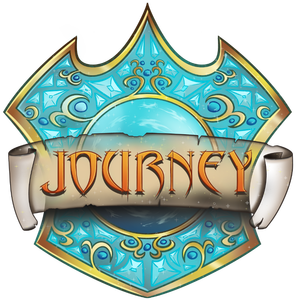 All purchases made on the JourneyGaming servers is a payment for the virtual items contained in the purchase. This transaction is final and there are no refunds. If you are banned for breaking any of the rules on the JourneyGaming servers, you will not be refunded this money. Bans are subject to the full discretion of the server admins and rules can be changed at any time. There are no guarantees that a server will remain running permanently and if the server is no longer operated the virtual items are forfeit. You must be 18 years or older, or you must have the approval of a parent or guardian to make the purchase. All items are virtual and have no value. Refunds regarding any type of in game glitches are subject to the discretion of the JourneyGaming administration. 43 / 500 players online.